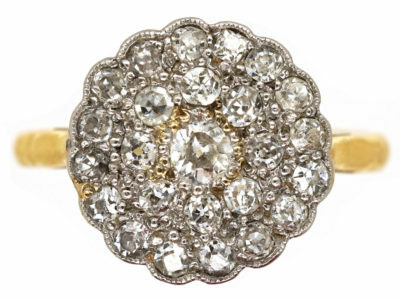 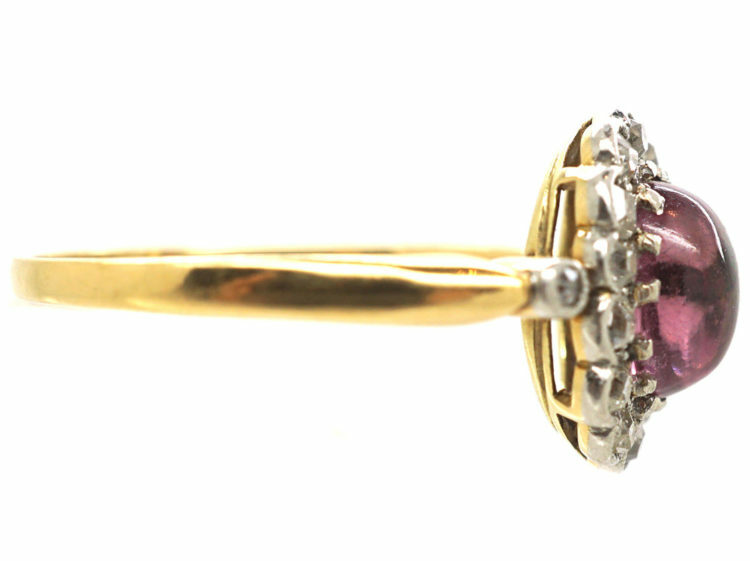 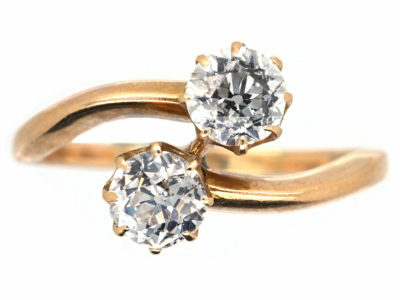 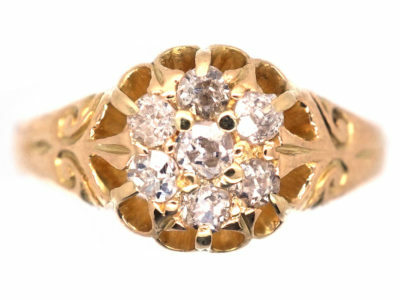 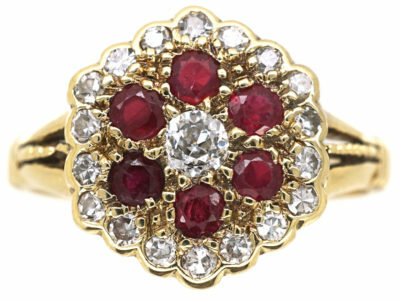 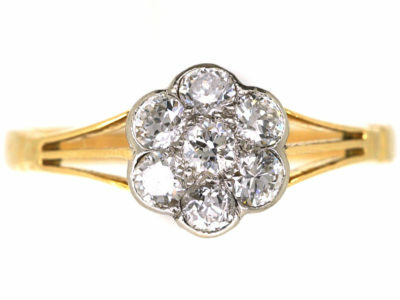 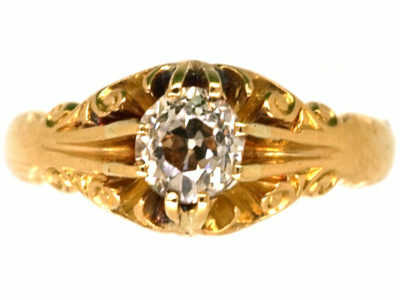 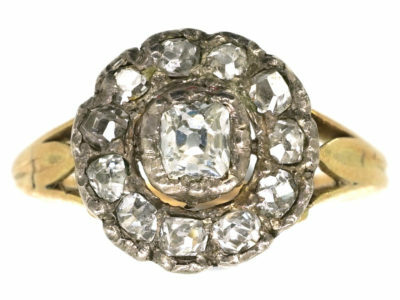 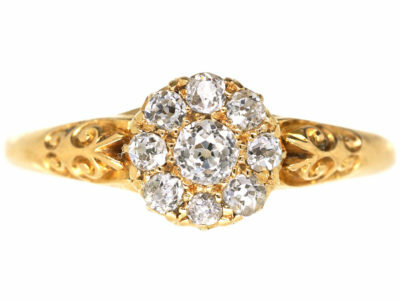 A beautiful 14ct gold ring that was made in Germany or Austria circa 1900-1910. 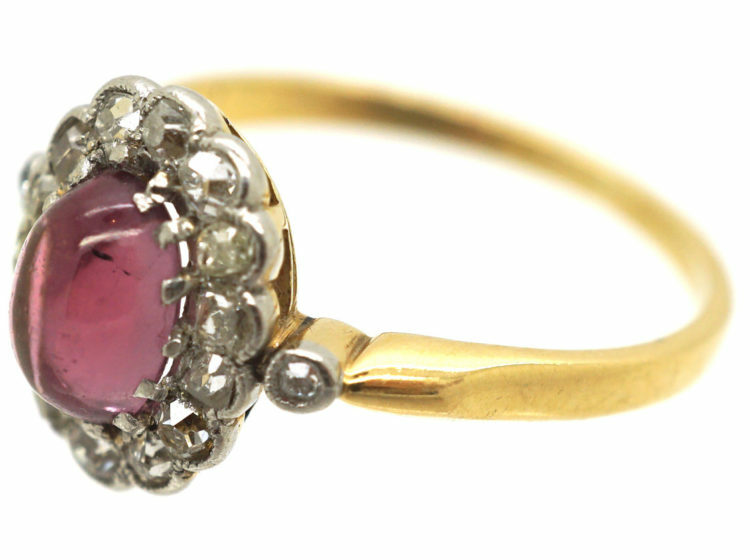 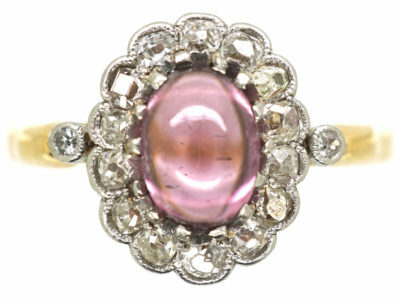 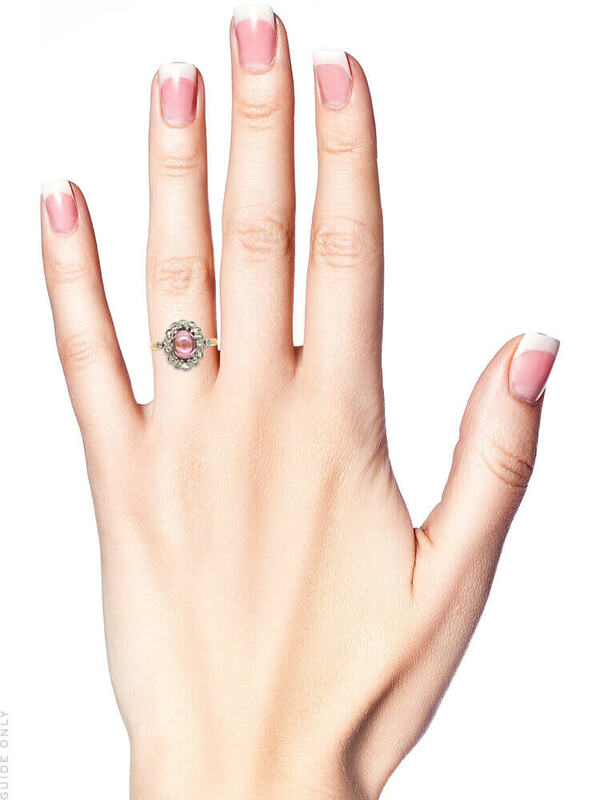 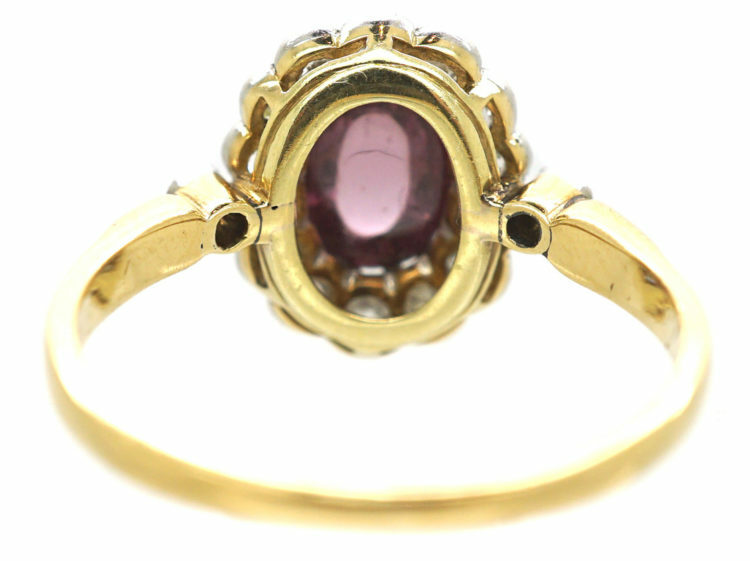 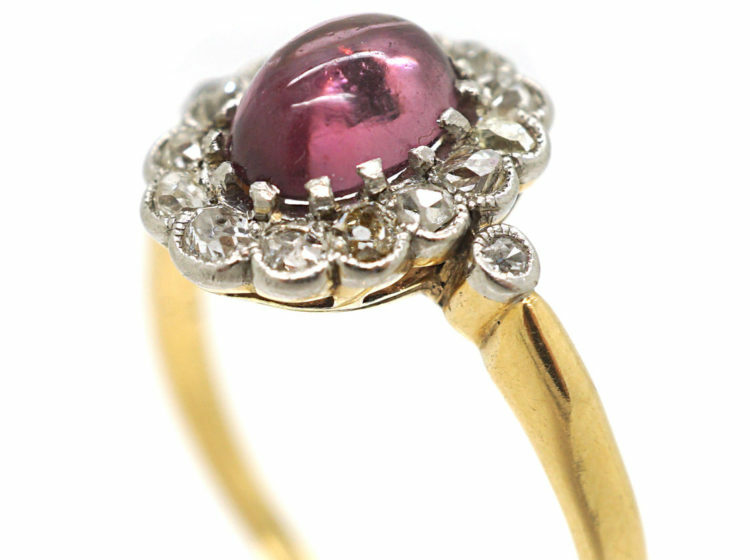 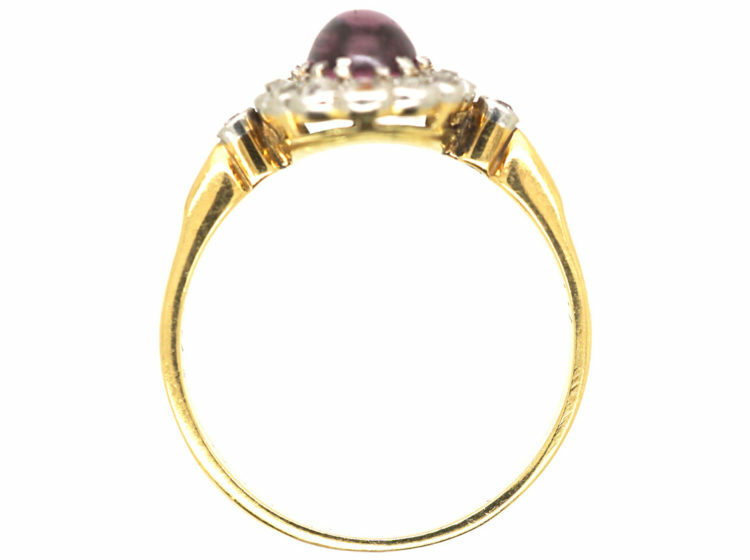 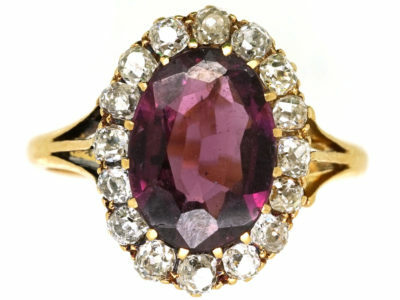 It has been set with a pink tourmaline which has been cut in a cabochon shape. 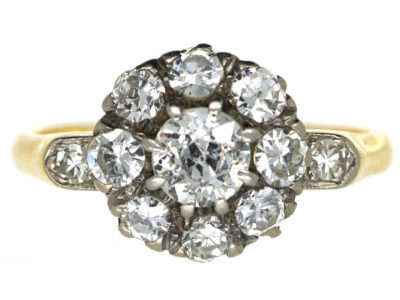 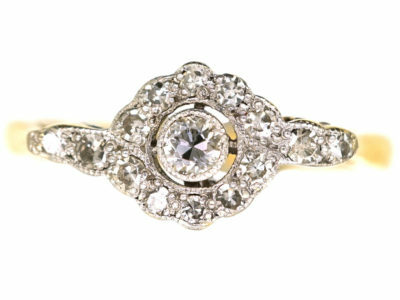 It is surrounded by small well matched white diamonds with a diamond on either side. 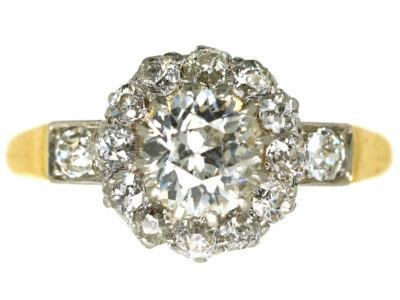 It is a really pretty ring and would be ideal as an engagement ring.